FOUR people have died in a road traffic accident in Chinsali district of Muchinga province. 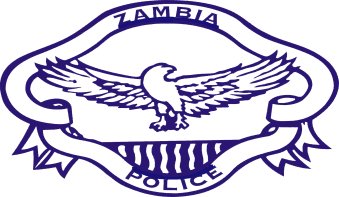 Muchinga Province Police Commissioner Joel Njase confirmed in a statement today that the accident happened yesterday, April 4, 2019 at around 14 hours in Chungulo village in Chinsali on Cheswa road. Njase said the driver, Mercy Zyambo aged 37, was driving a Honda CRV registration number AQB 275 from Cheswa Primary School with four passengers on board. “The accident happened when Mercy Zyambo authorised Lewis Ng’ambi to drive the vehicle crossing the river on the bridge and in the process the driver lost control of the vehicle due to inexperience and that caused the vehicle to overturn and fell in the river,” explained Njase. He said as a result Elvis Chanda of Makoba village, Brian Kampamba of CG compound, Joseph Kambobe 5, and Emmanuel Kambobe 6, drowned in the river and died on the spot while Ng’ambi sustained deep cuts on both legs. The police commissioner said the four bodies have since been deposited in Chinsali hospital mortuary.